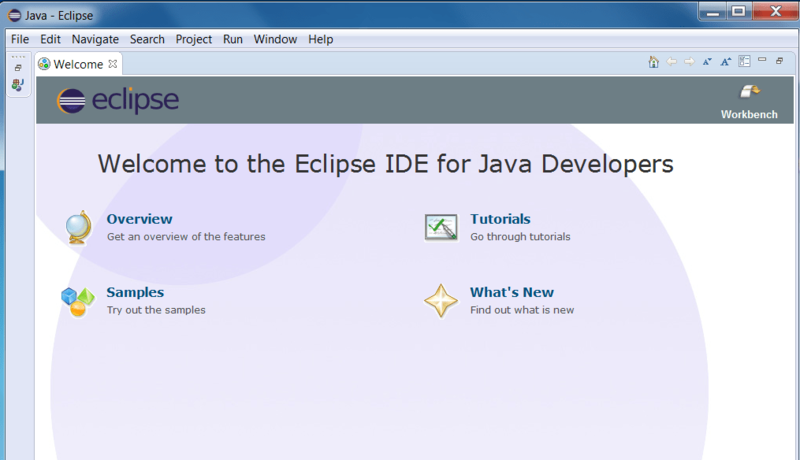 Eclipse is famous for Java integrated development environment which is a very useful tool for both developers and testers. 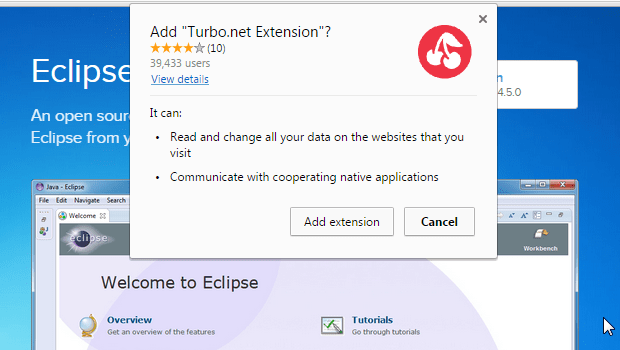 Eclipse is available online without any installs, The only thing you need is a browser. 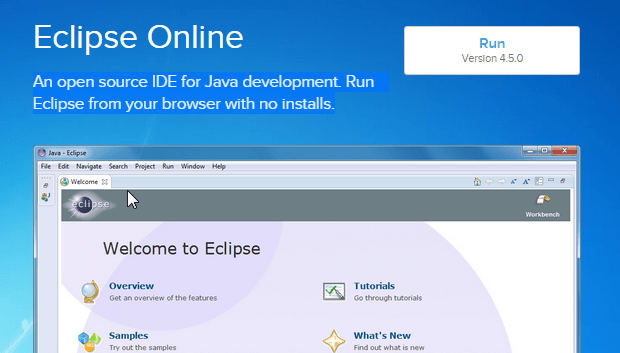 In this post we will look at the Eclipse on the web. 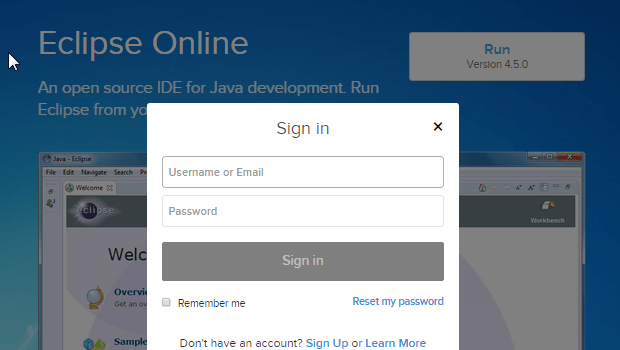 The turbo.net provides with An open source IDE for Java development. 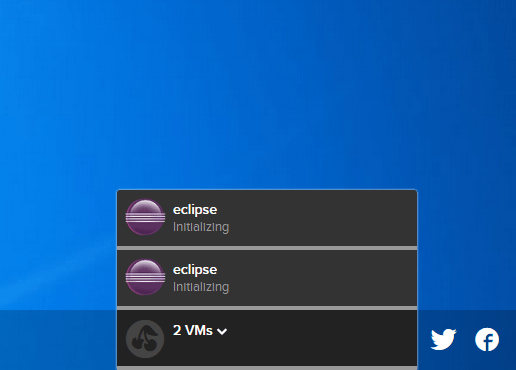 You Run Eclipse from your browser with no installs in just 5 steps. Wait until the Eclipse gets launched. It may take sometime for the first time based on your internet bandwidth.